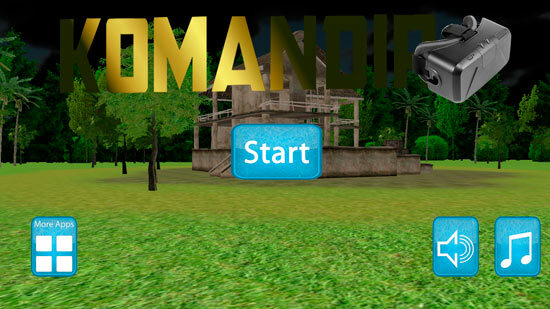 Komandir is a virtual reality shooting game. This VR shooter game will allow you to enjoy a 360-degree immersive gaming environment. Shots will automatically be fired when you look at your targets. Complete missions, advance through check points, eliminate enemies and make your way out. Supports VR remote and is best fit for VR Cardboard, however works perfectly with other VR headsets. AppSwarm, Corp a company that focuses on the acquisition and development of application-based technologies, announced the acquisition of the cutting-edge Virtual Reality game, Komandir from prolific Russian development company Shooterboy Entertainment www.shooterboy.com. The games are available in the Apple App Store as well as the Google Play Store. You can download and play the games here: A video is available to watch in the Google Play store. In a new Virtual Reality Industry Report, Greenlight Insights forecasts continued VR industry growth in the short term, with annual accelerated growth creating a major global content marketplace by 2021.